Ramps, volcanoes, and bulldogs - oh my! What do all of these things have in common? 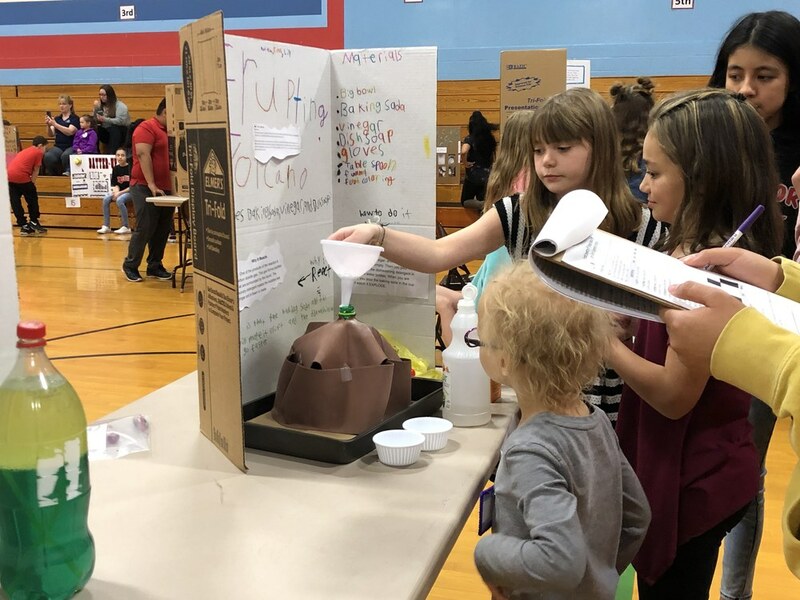 You can find experiments and models over these topics at the 4th Grade Science Fair at Franklin Elementary. Students were given the option to choose between creating a model or experiment, giving them the opportunity to create a project they are passionate about. Community members gathered today to judge the projects. Friends and family were invited back to Franklin during the evening to view the students work! Great job to the teachers and staff who helped organize this event!